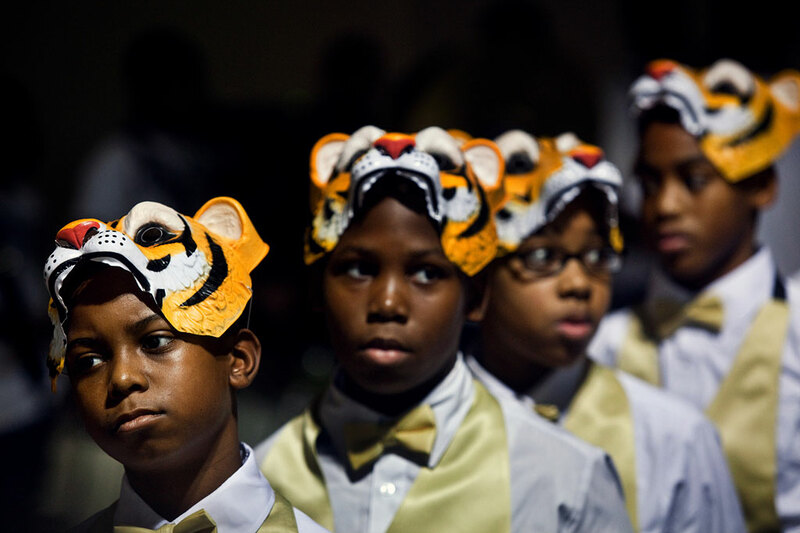 February 18, 2012 – (left to right) Jeremiah Young, Melvin Green, Anthony Malone II and Jaylon Odell with the Newberry Elementary Steppin’ Tigers dance group waits for their turn to perform at the first annual Memphis Black Expo at the Cook Convention Center. Hosted by the The Tri-State Defender and Comcast, the expo is targeted at connecting, celebrating and building the large African American population in the community. Vendors and dance teams gathered to promote young talent, entrepreneurship, cooperative economics among the African American population in Memphis. (Kyle Kurlick/Special to The Commercial Appeal).